ZFH stands for Zermelo-Fraenkel set theory implemented in higher-order logic. It is a descendant of Agerholm’s and Gordon’s HOL-ST but does not allow the use of type variables nor the definition of new types. We first motivate why we are using ZFH for ProofPeer, the collaborative theorem proving system we are building. We then focus on the type inference algorithm we have developed for ZFH. In ZFH’s syntax, function application, written as juxtaposition, is overloaded to be either set-theoretic or higher-order. Our algorithm extends Hindley-Milner type inference to cope with this particular overloading of function application. 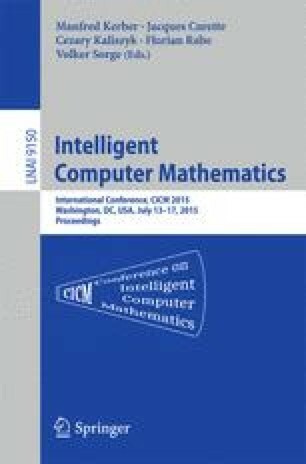 We describe the algorithm, prove its correctness, and discuss why prior general approaches to type inference in the presence of coercions or overloading do not cover our particular case.